A collection of four sizzling paranormal romance novellas in one book. For a limited time only, get PASSION NEVER DIES at 50% off the regular price. As their passion for each other blossoms, Jake and Dawn must outwit their enemies and rediscover their past lives. But when their greatest foe rises from the ashes of ancient Egypt to destroy their future, only Jake and Dawn's eternal connection has the power to save them. "Thank you, Jake," she said. His head jerked up. He gaped at her with a bug-eyed expression. She scrunched her brow. "What?" Her heart skipped a beat. She had called him by name. She had no answer for his question, and quite frankly, she didn't know what to say. He seemed equally stumped. After several seconds she managed to form a single question. "Do you know my name?" "Um…" He glanced around the room and refused to meet her gaze as he asked, "How are you feeling?" "Headache. Otherwise okay, as far as I can tell." He retrieved a tablet computer from a nearby table and handed it to her. She glanced down at the text displayed on the screen. "Can you read this?" he asked. "It's a bunch of scientific gobbledygook, but yes, I can read it. I'm not illiterate." Well, she did have amnesia. She couldn't fault him for wondering if she could read. Yet an instinct warned her there was more to it than simple concern for her faculties. "Who are you?" "Jake. Have you forgotten? You spoke my name—"
"I know that." She frowned at him. "What's your last name? Where are you from? What are you doing here? What am I doing here?" "Long story." He checked his watch. As he stuffed the tablet computer back inside his pack, she glimpsed a small revolver tucked into a pocket sewn into the pack's lining. He had a gun? Before she could ask about it, he told her, "If you can walk, then we need to go. Quick." He reached for her arm, to urge her to walk. She shook free of his grasp. "Explain now," she said, crossing her arms over her chest. "I'm not moving until you tell me something that makes sense." PASSION NEVER DIES is available at a special price of $2.99. Offer ends Dec. 5,2016. Grab your copy today. Contest Date: November 29 - December 5, 2016. Get PASSION NEVER DIES today at a special price of $2.99. Hurry! Offer ends Dec. 5, 2016. 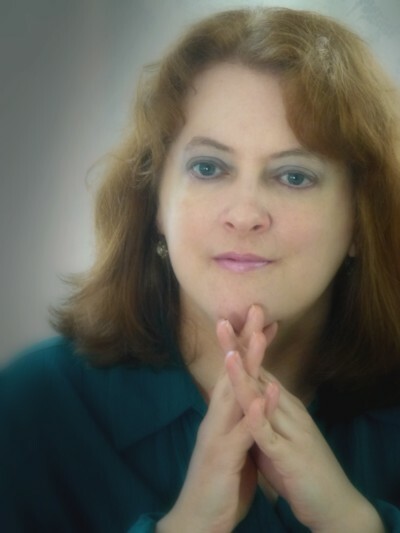 Anna Durand is an award-winning writer, a freelance librarian, and an audiobook addict. She specializes in steamy romances featuring spunky heroines and hunky heroes, in settings as diverse as modern Chicago and the fairy realm. Her romances have to date won eight awards and her novel Dangerous in a Kilt was chosen as Top Pick on The Romance Reviews. In her previous life as a librarian, she haunted the stacks of public libraries but never met any hot vampires hunting for magical books. Join the book tour! Get more tidbits, excerpts and other info by visiting each tour stop in the schedule below.